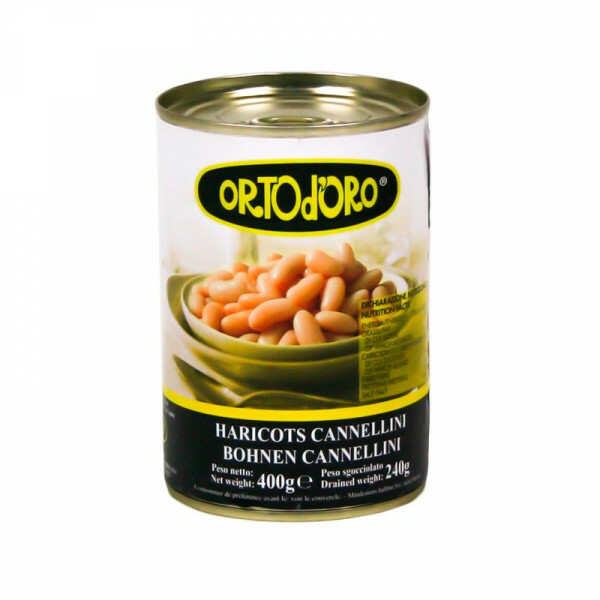 Convenient, delicious and cooked Cannellini Beans! They Just need to be drained and rinsed! Canned beans just need to be drained and rinsed - then they're ready to use. Cannellini beans are from Italy and are creamy white in colour. When cooked, they have a fluffy texture and a slightly nutty, mild flavour. It’s not just the beans, which have a better flavour and consistency, but the cloudy, suspicious-looking bean cooking liquid. This bean broth, full of starch and flavour not only preserves the beans well, it’s an ingredient in several of the recipes, giving flavour, body and consistency. They Contain Iron, Magnesium and Folate. They also are a Good source of protein. 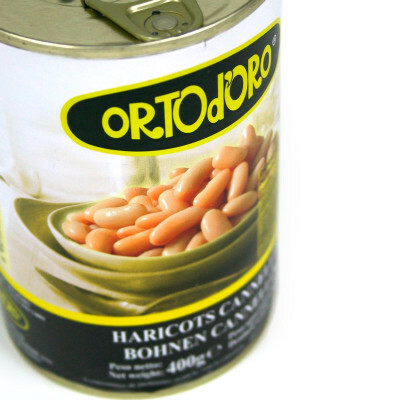 Cannellini beans, water, salt, ascorbic acid.